← It’s Monday Fun Day! Hear me out on this one. I’m not a toy critic. This isn’t a review. I’m just a guy who likes giggling at the weird details of the world. And the Detroit Steel LEGO set definitely counts. I’ve been obsessing about this toy since it was first announced, and since I had the day off from work on Monday, I decided to go out and pick it up at Walmart. 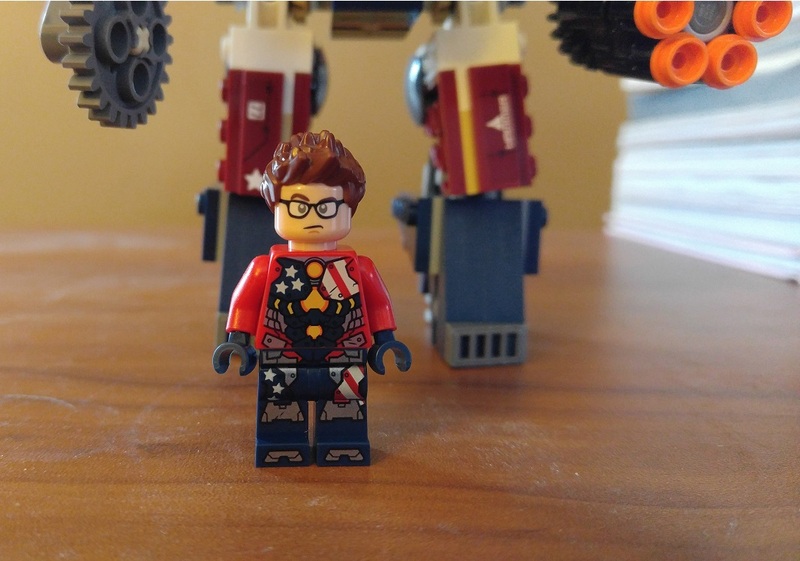 Wasn’t too expensive, and it actually adds to the collection of LEGO superhero mech-suits I’ve been putting together. So it’s a fine LEGO set. No complaints. Fun to build. Nice to have. But the devil is in the details. I would love to know the thought process that went into putting this LEGO set together and picking out all the individual elements. None of them go together, either in comic, film or television. It’s a weird mishmash of ideas. How does that get designed? Granted, none of this matters and I’m only poking at air. Who cares that the new LEGO set doesn’t hold up to rigorous comic book scrutiny? I can almost guarantee this article will not have any significant bearing on your day. There are probably a million better things I could be doing with my day and/or life. But I can promise that this will be the greatest, most intense critique of the LEGO Detroit Steel Strikes! playset that you’re ever going to read! Join me after the jump! We’ll start with the biggest piece in the set: Detroit Steel. 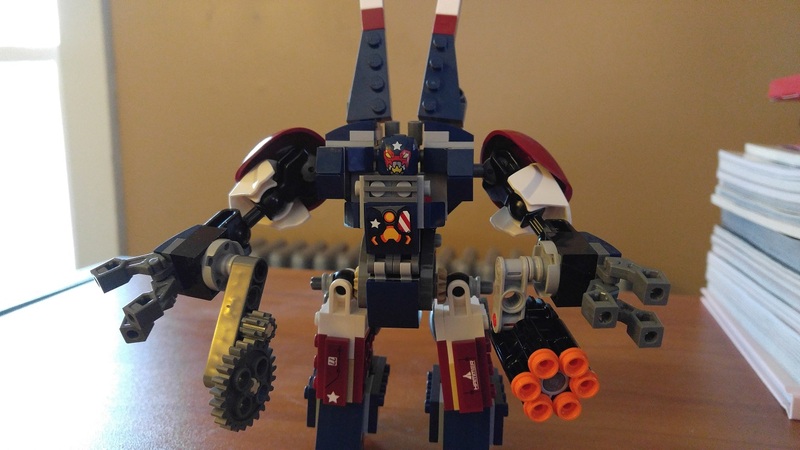 This is a sweet looking LEGO mech. He’s got a chainsaw and a Gatling gun! No real complaints here. 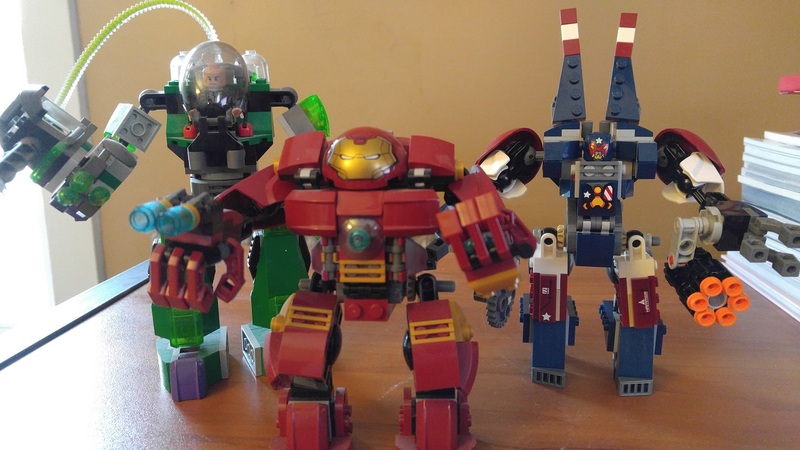 Iron Man is popular and Detroit Steel is a big, mechanical villain who can be turned into a minor LEGO construction set. The general idea is sound. They couldn’t do this with Titanium Man or Crimson Dynamo because their robo-suits are more Iron Man-sized. Detroit Steel is a big, hulking mech. Don’t remember Detroit Steel? It’s this guy. Detroit Steel was introduced in 2010, a couple years into writer Matt Fraction’s Invincible Iron Man series. This was the comic created to capitalize on Iron Man’s movie success, creating a more Downey-esque Tony Stark and using villains and characters made popular in the movies. It was also the only Iron Man series I’ve read and collected in its entirety. I was a big fan of Faction’s Invincible Iron Man, and I definitely remembered Detroit Steel when Marvel announced this LEGO set. This means Detroit Steel is kind of obscure, considering he only appeared during that brief comic book run. But like I said, he’s a giant mech suit from the Iron Man franchise, so he definitely works as a construction project. The first problem, though, is that he’s piloted by Justin Hammer, according to the LEGO box. At no point is this true. In the comics, Detroit Steel is piloted by Lt. Doug Johnson III, a minor character who would end up dying at least twice before Detroit Steel was finally put to rest. Now, Detroit Steel was indeed built by Hammer Industries, but at that point in the comics, Justin Hammer is dead. His granddaughter, Sasha Hammer, ran the company and built Detroit Steel, and Sasha even piloted the mech at least once in the comics. Justin Hammer is never associated with Detroit Steel, either in the comics or in the movie Iron Man 2. That movie is the reason I assume Hammer was chosen for this LEGO set. But why not use Lt. Johnson? Or use Sasha Hammer and have a cool new female villain in LEGO? 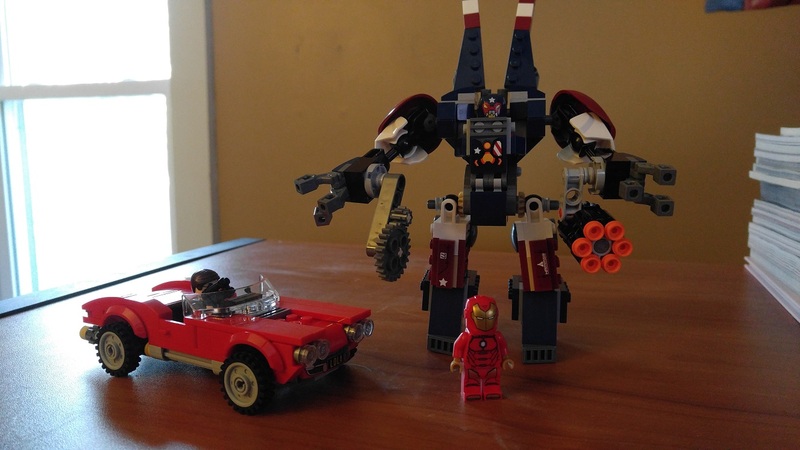 Moving on, the second problem is the set’s choice of Iron Man mini-fig. 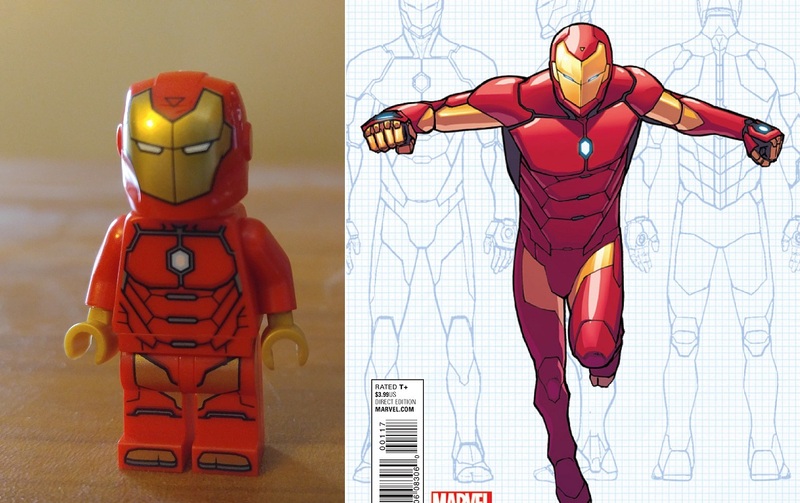 There have been plenty of Iron Man mini-figs in the past, but this is a brand new design, clearly based off the newest set of armor in the comics, circa 2016. 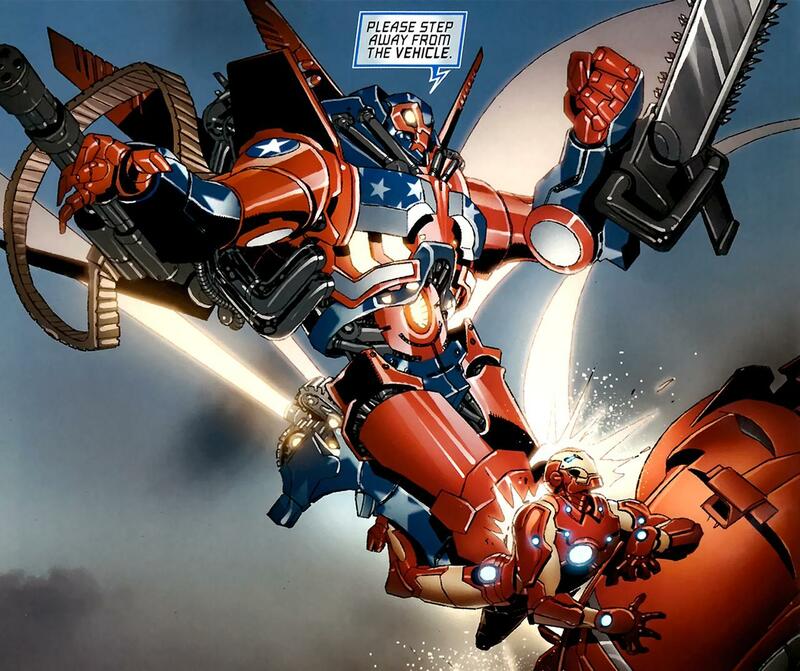 So why is the 2016 Iron Man battling the 2010 character Detroit Steel? 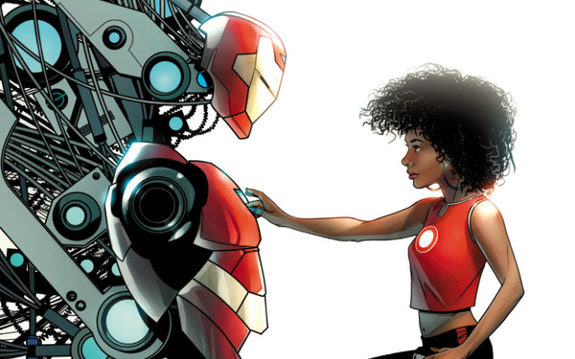 For that matter, 2016 Iron Man was only a placeholder until Marvel could introduce Ironheart, Riri Williams, who wears the exact same armor. Why not put Riri Williams into the LEGO set? Marvel could have had a female armored superhero battling a female armored super-villain, and all it would have taken was a couple alternate LEGO heads and hair pieces — which you don’t even see, since both characters would be wearing armored helmets. Way to pass up a golden opportunity, LEGO. 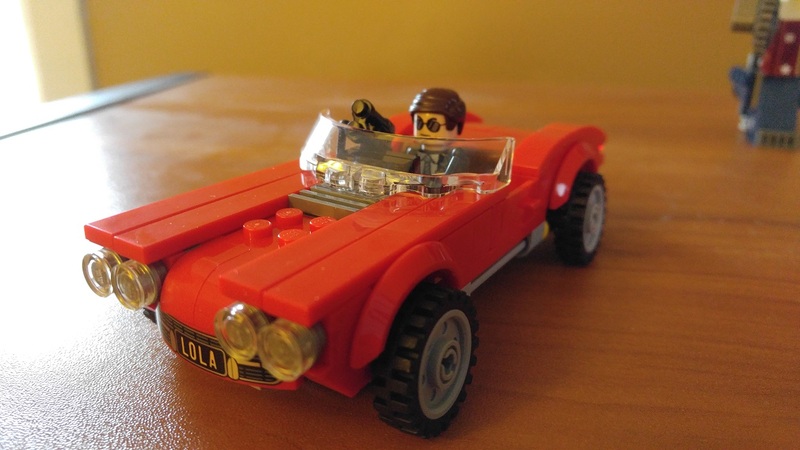 Finally, the third problem is the bit of extra build that LEGO added to the set: Agent Coulson and his flying car, Lola. Coulson and Lola are obviously from the Agents of S.H.I.E.L.D. 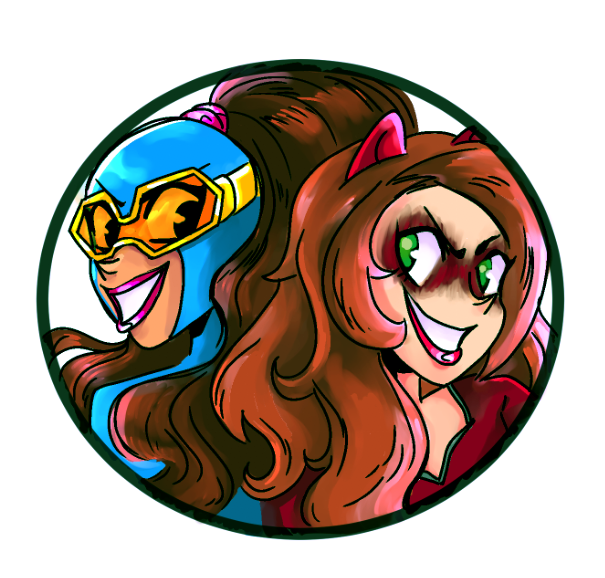 TV show, and therefore having nothing to do with the comics or Detroit Steel (though now that I think about it, Lt. Johnson and Detroit Steel would be great on that show). Obviously Lola probably wasn’t a big enough thing to build on its own, so they stuck her in this set to round it up. That’s fine. But again, nothing in this set has anything to do with anything else in this set. And I know it’s not hurting anybody, but I’m just super curious how this happens. What LEGO design team or marketing executive pairs Detroit Steel, Justin Hammer, 2016 Iron Man and Agent Coulson? How do they arrive at this lineup? When they do their research on Detroit Steel, do they skip over the part where Justin Hammer was not the pilot? Does someone make the decision to use Tony Stark over Riri Williams, even though there are a million Tony Stark LEGO sets already? Questions that will likely never be answered. But at least my LEGO superhero mech suit collection has a new addition. And isn’t that what’s really important here? Posted on March 7, 2017, in Avengers, Marvel, Toys and tagged Agent Coulson, Agents of SHIELD, Detroit Steel, Iron Man, LEGO. Bookmark the permalink. Leave a comment.